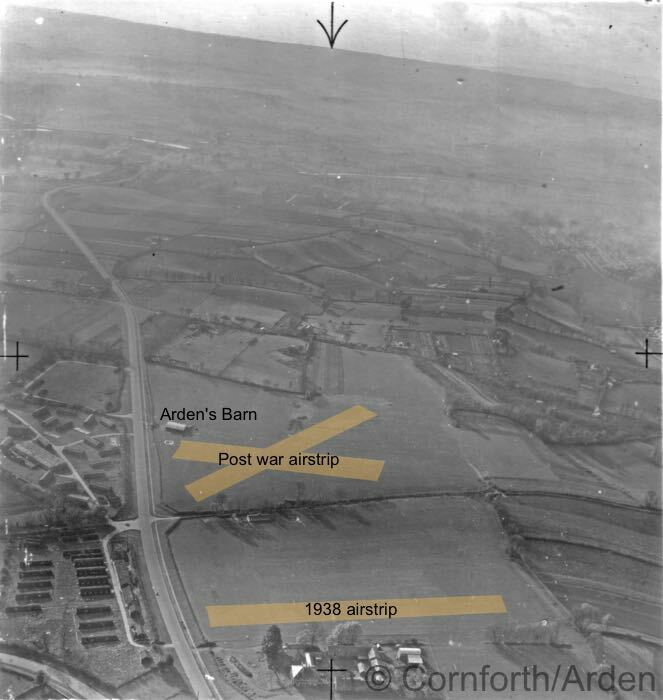 Bertram 'Johnnie' Arden was a farmer who opened and ran Exeter's bypass airfield.The Exeter Bypass airfield was situated at the old Hele's School playing fields, and later, on an adjacent field now occupied by South West Water, off the Exeter bypass. 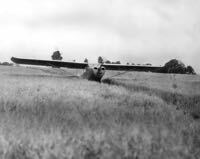 The first airfield opened on 20 May 1938, when Bertram 'Johnnie' Arden purchased his first aircraft. On 1 November 1938, Hele's School founded the first School Squadron of the Air Cadet Defence Corps as No.13 Squadron of the Air League, at Bertram's field. 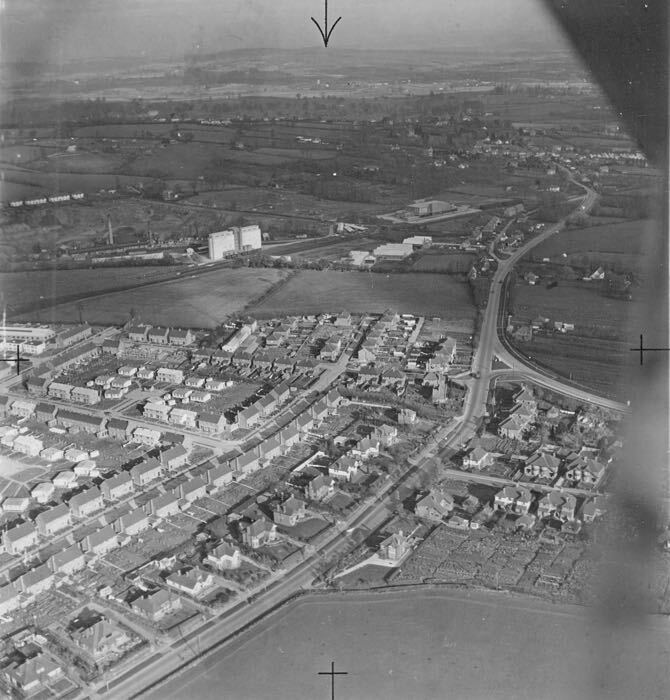 After the war, the airfield moved to the South West Water site, when it was known as the Exeter Bypass Airfield. A hanger was built along with two grass airstrips, and from the late 1940s the Devonshire Flying Club operated from the airfield. The airfield closed in the late 1950's. 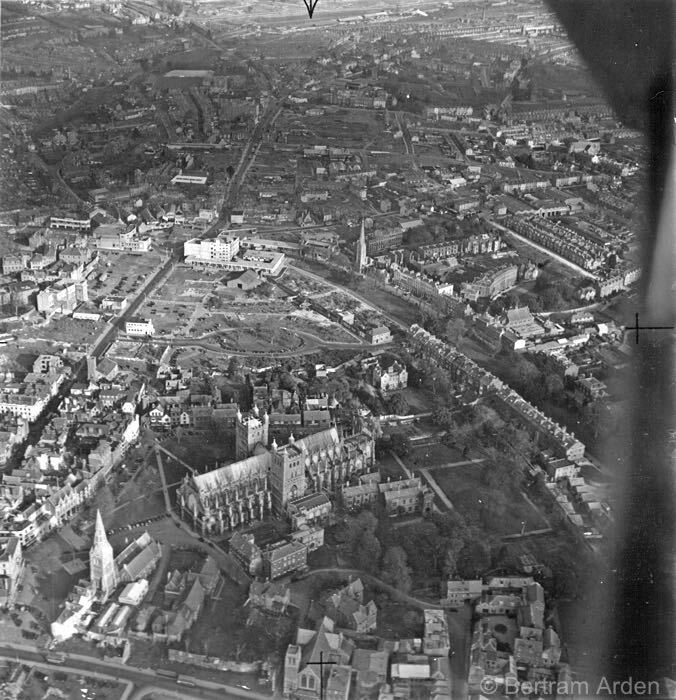 These photographs show a central Exeter changed by the blitz, and suburbs appearing where once there were fields. New roads radiated from and criss-crossed the city. Exeter that was smaller,and more compact, and yet, was undergoing expansion that would forever change the city. 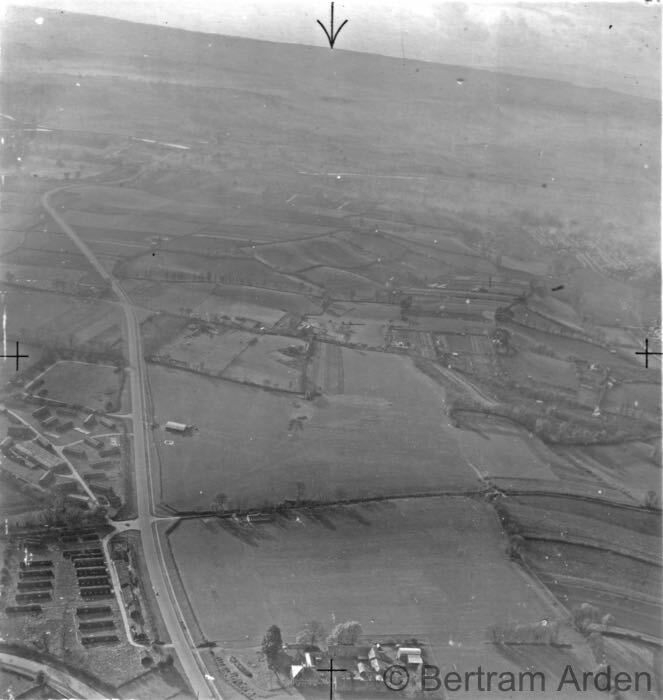 The photograph left gives some idea of the problems of farming and flying from the same field. 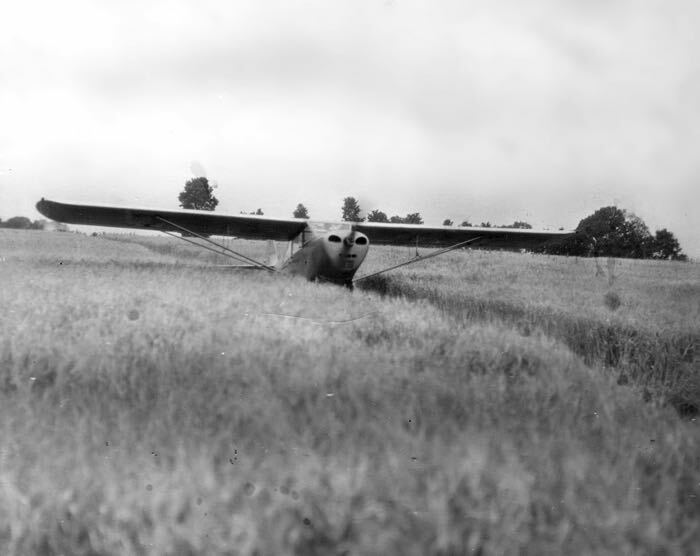 It would have been this, or a similar, aircraft that was used for many of the photographs. All photographs are © Bertram 'Johnnie' Arden. This view of the city, encompassing the whole of the city wall shows the areas reduced to rubble in the May 1942 bombing. 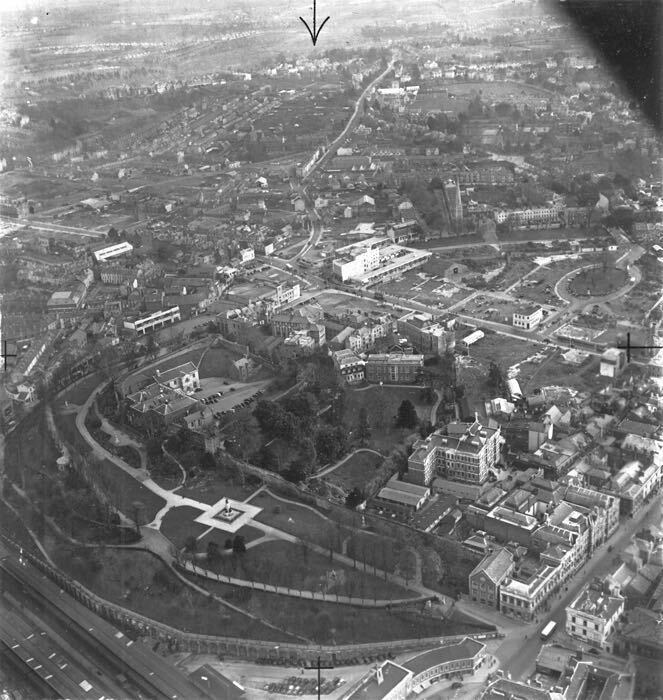 In the centre is Rougemont Castle, the High Street and Bedford Circus. Longbrook Street runs centrally to the bottom of the photo. To the left, the bomb damaged Sidwell Street and Paris Street can be seen. Many bomb sites are being used as lorry and car parks. This photo shows the bombed High Street and Bedford Circus in more detail. Notice how the Eastgate building opposite the Savoy Cinema survived–a modern concrete building that could withstand the incendiary bombs. 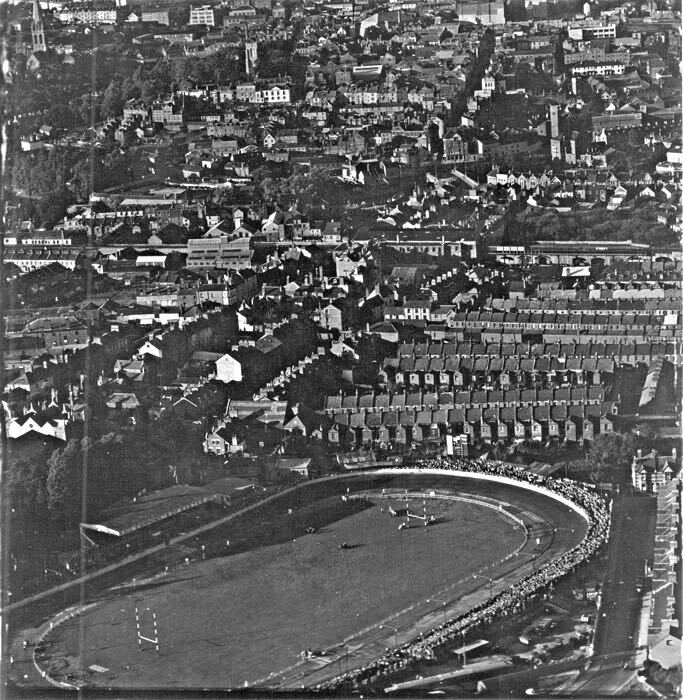 The flight over the County Ground took place just as a rugby match was being played. Church Road runs diagonally through the centre of the photo, while the main railway line runs across. It is impossible to see the river, although St Edmund's Church is visible in the top quarter left of the photo. 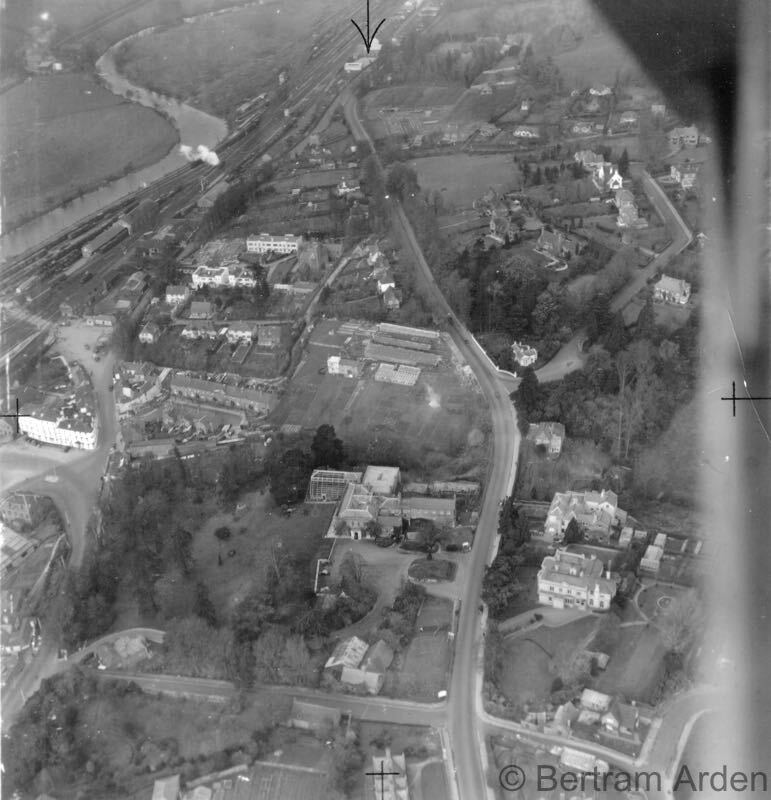 The Imperial Hotel is just below the centre of this photo, with New North Road to the right. The Great Western Hotel is extreme centre left. Careful viewing of this photo shows the Taddiford Estate and House and the extensive sidings of Riverside Yard, along with the smoke of a steam engine. 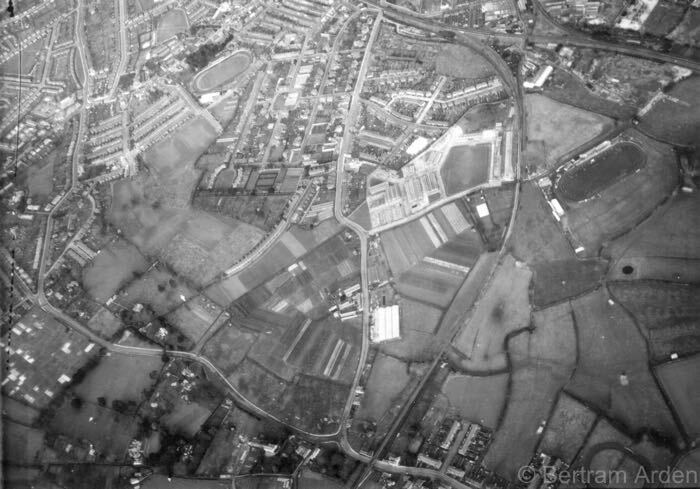 Looking across Marsh Barton and the Alphington Road towards St Thomas The light grey area slightly above the centre is the cattle market, now the Stone Lane Retail Park. 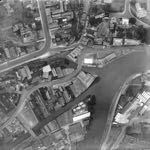 This interesting view of Marsh Barton was taken before the trading estate was developed. Cows grazed the fields that now contain warehouses and showrooms. Church Road can bee seen bending right to Alphington, while the Teign Valley railway runs left to right across the bottom of the photo. 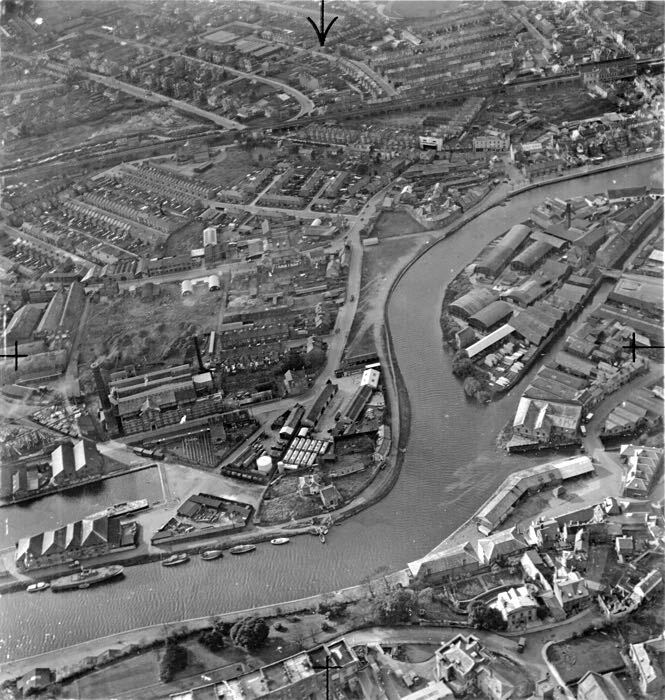 Taken when Trews Weir Paper Mill was still in production, this photo shows the mill, just below the centre, and the river and canal. A gas holder is to the right. What is interesting, is the lack of trees and vegetation. The Willeys Bridge and the Match Factory are now surrounded by mature trees. Old Mill Close and Weirside Place are many years in the future. 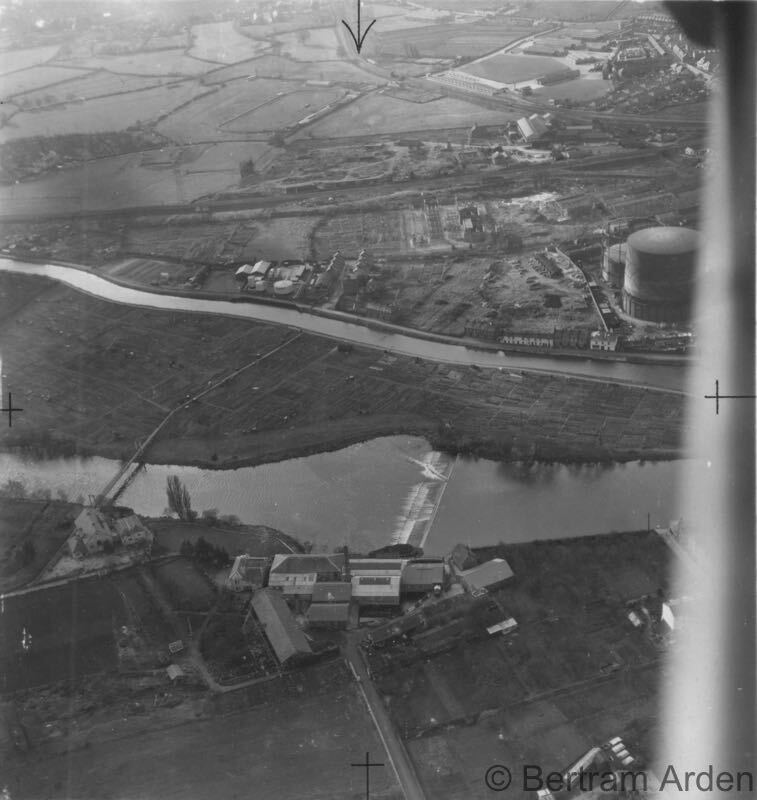 Probably taken on the same flight as the photo to the left, the gasworks is in the centre. 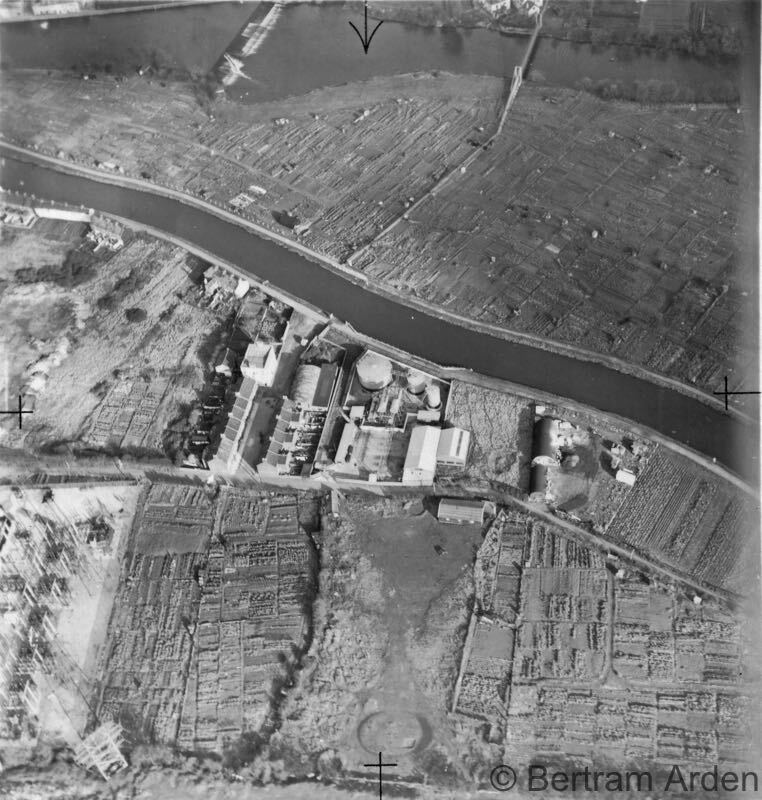 The lack of trees and the many small allotment plots, below the gasworks and on the land between the river and canal are apparent. Willeys Bridge and path are very visible. 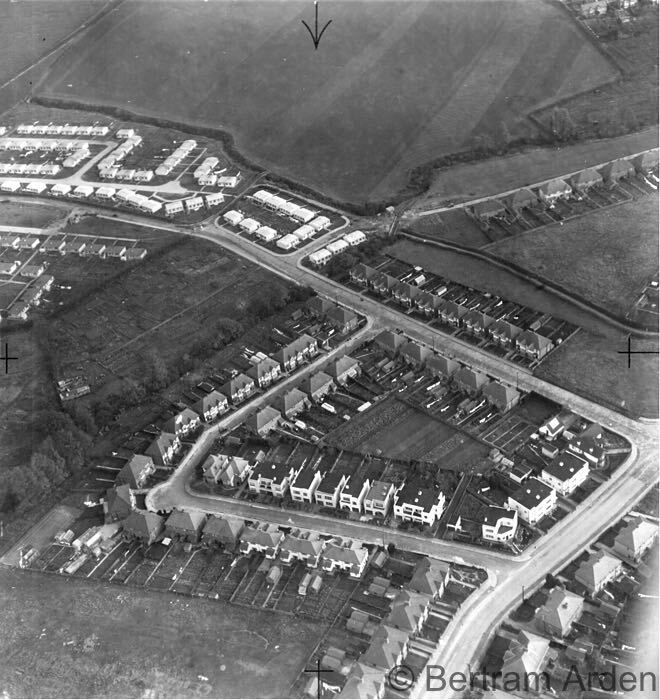 Burnthouse Lane (top left) was developed from 1930, and Rifford Road (from the roundabout to centre right) from the mid 1930's. Ludwell Road runs from the roundabout, diagonally towards the left corner, and Ivy Close is in the centre. The Northbrook, or more popularly, the Panny runs diagonally from the bottom right. The next two photos show the Burnthouse Lane Estate. 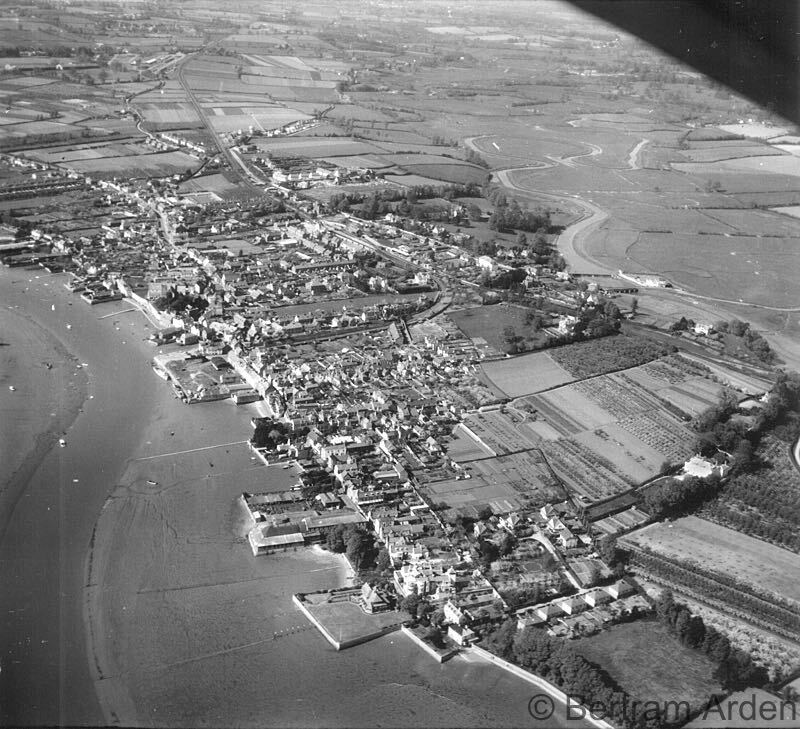 The Topsham Road was still very rural in the 1940s, and apart from Topsham Barracks, to the immediate north, Burnthouse Lane was surrounded by fields–this was probably why it was known as 'Siberia'. 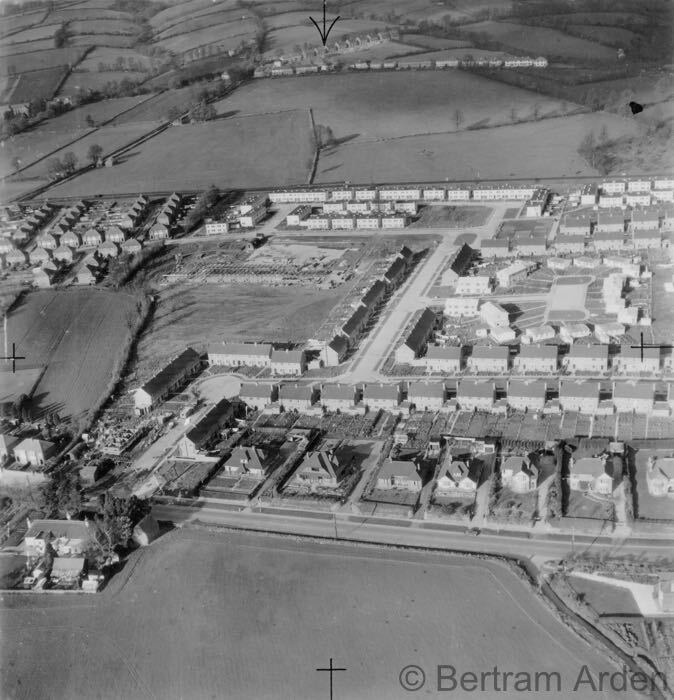 Bellair–part of County Hall and home of Georgiana Buller–and Coaver Houses can also be seen north of the barracks, and the fields of Marsh Barton beyond the railway line and river. Another view of Burnthouse Lane, this time from west of Alphington. 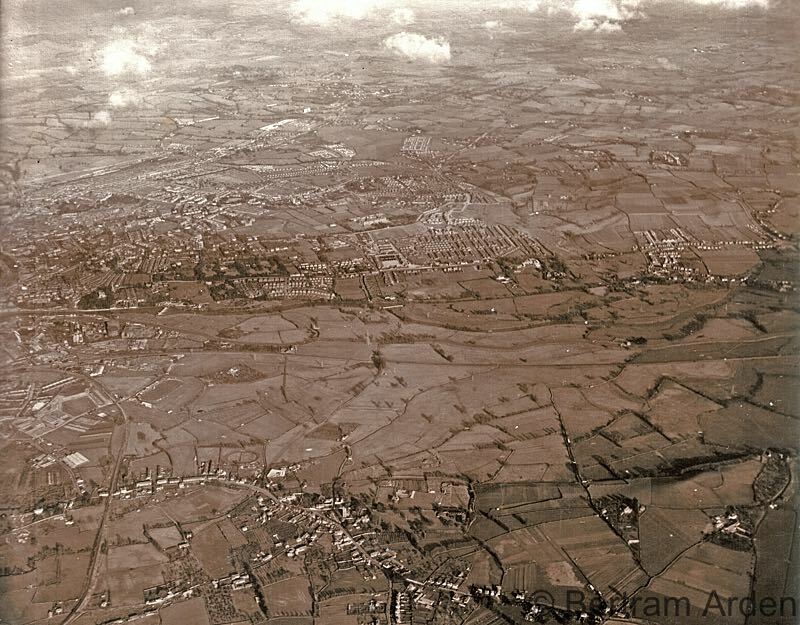 Alphington Church is bottom centre, while the fields of Marsh Barton is in the bottom third of the photo. 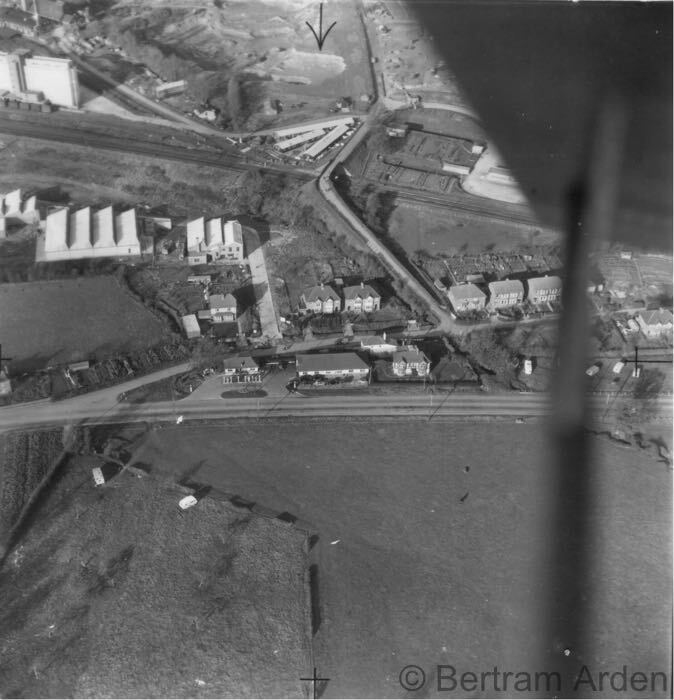 The bypass airfield opened in 1938 when Bertram 'Johnnie' Arden purchased his first airplane. The photo on the right shows the runways, before and after the war. The Arden Barn (or hanger) can also be seen. 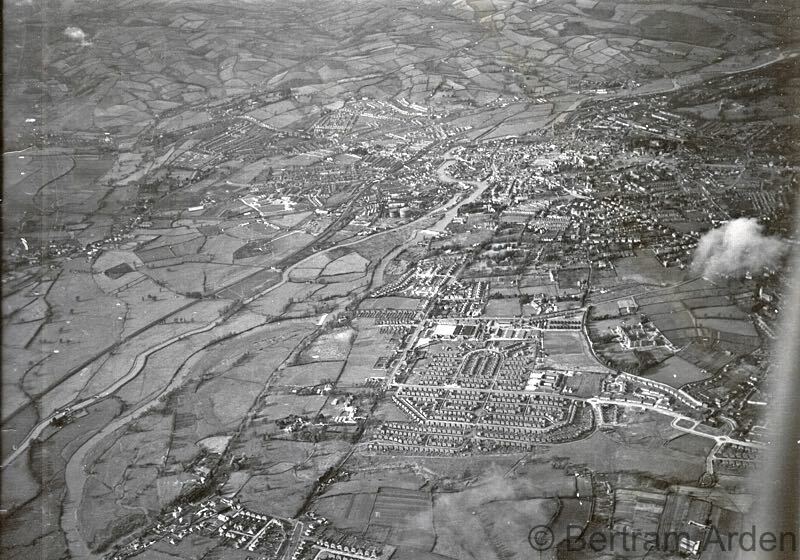 Topsham was separate from Exeter until it was incorporated into the city in 1966. 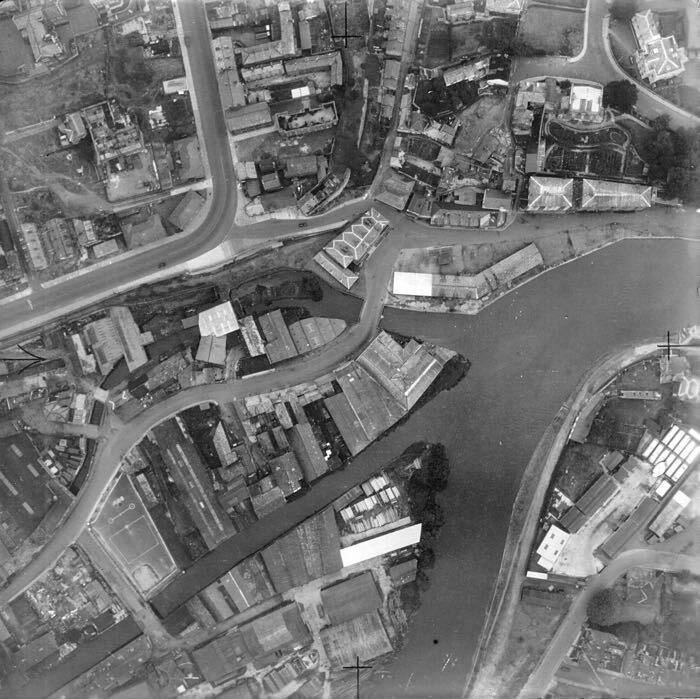 This aerial photo shows the river side of the small town, with its many quays. Tuborg had not yet built their warehouse (now the antiques centre) on the Lighter Inn quay. The curve of the railway spur from the station to the quay is still running–it is now Holman Way. 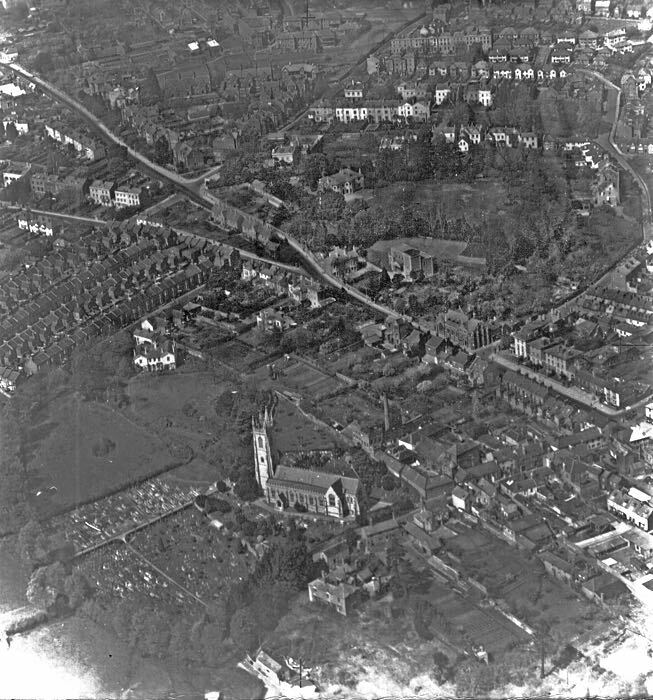 This is an interesting photo because it shows the late, lamented, Heavitree House in the corner of its grounds, below Heavitree Church. In addition, Heavitree Brewery can be seen to the right of the Church. Fore Street, Heavitree runs diagonally across the top half of the photo. Looking down river, across Exe Bridge towards Haven Banks. What is interesting about this photo is the river and canal winding towards the sea in the distance. From the haven, bottom left to Shilhay, centre right, this photo shows the industrial and quay area of the city. The roof of Colleton Crescent is visible extreme bottom left. Photographed from directly above, the distinctive shape of the Custom House can be seen centre top. The channel known as Coney Lake can be seen cutting off Shilhay from the West Quarter. Half of Shilhay was once in St Thomas ward. Shilhay and Commercial Road was the centre of Exeter's industrial commerce, including timber mills and stores, foundries, tanneries, and soap and candle works. The city looking across Northernhay Park. 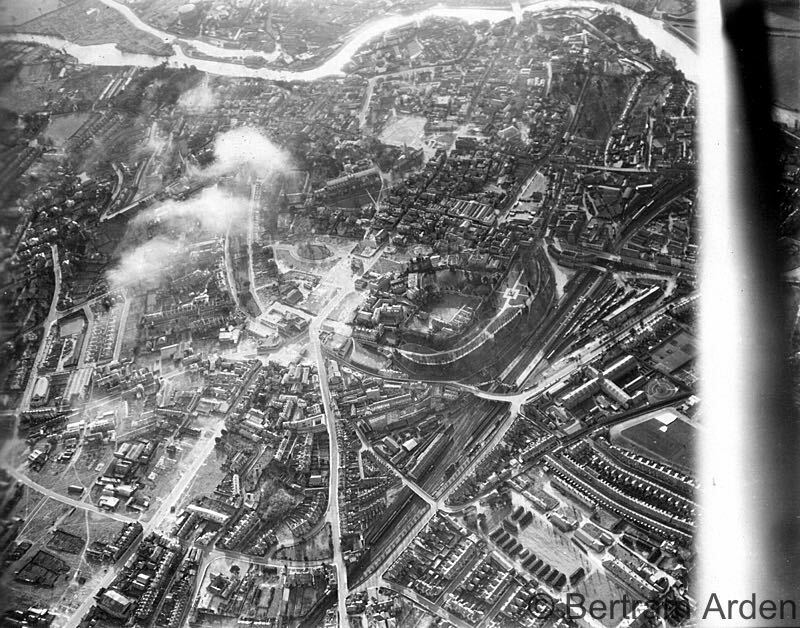 The top half of the photo shows the bomb devastated Bedford Circus, Paris Street and Sidwell Street and the High Street. The white frontage of Pennsylvania Park is a prominent landmark at the top of this photo. A grassy field occupies what would become Hill Close Cleveland Close and Elmdon Close. Culverland Close is still the rear gardens of the houses in Union Road. 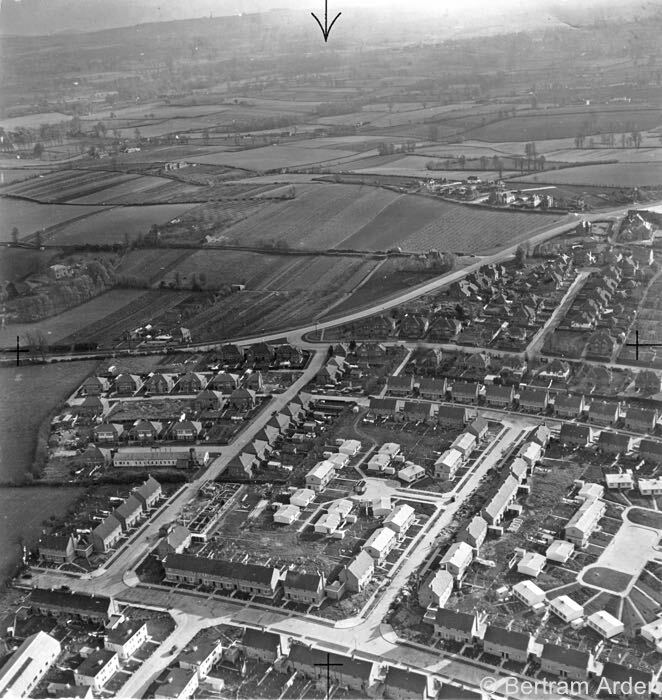 This view from over Whipton towards Pinhoe shows the large government cold store that was built in 1943. As late as 1973, the Government stored butter there. Sainsburys now have a supermarket on the inside curve of the Pinhoe Road, at the junction. The Chancel Lane bridge crossing the railway line is prominent in this photo. The cold store mentioned in the previous photo can be seen top left. The Pinhoe brickworks, which closed in 2008, are to the rear of the store. 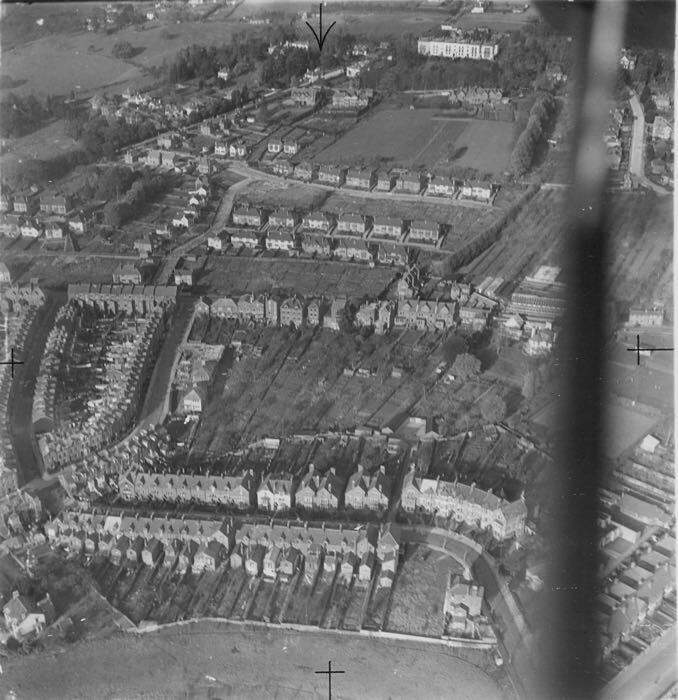 The unfinished housing of Summerway is visible above Masefield Road and Thackeray Road. Pinhoe Road runs left to right along the bottom third. Exhibition and Eastern Fields are at the top. 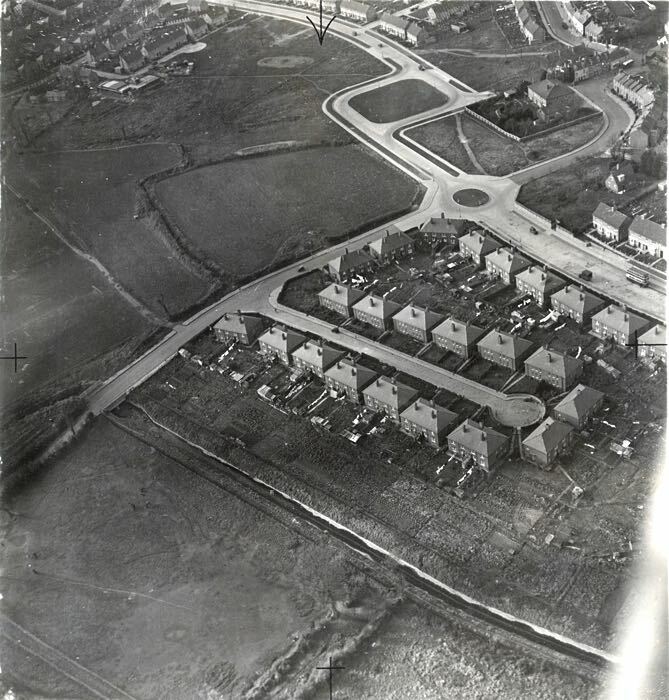 This is an interesting photo because it not only shows the newly constructed Whiteway Drive, but it also shows the prefabs of Vaughan Road and Thornpark Rise. Built to last only a few years, Exeter had various groups of prefabs, dotted around the new suburbs. 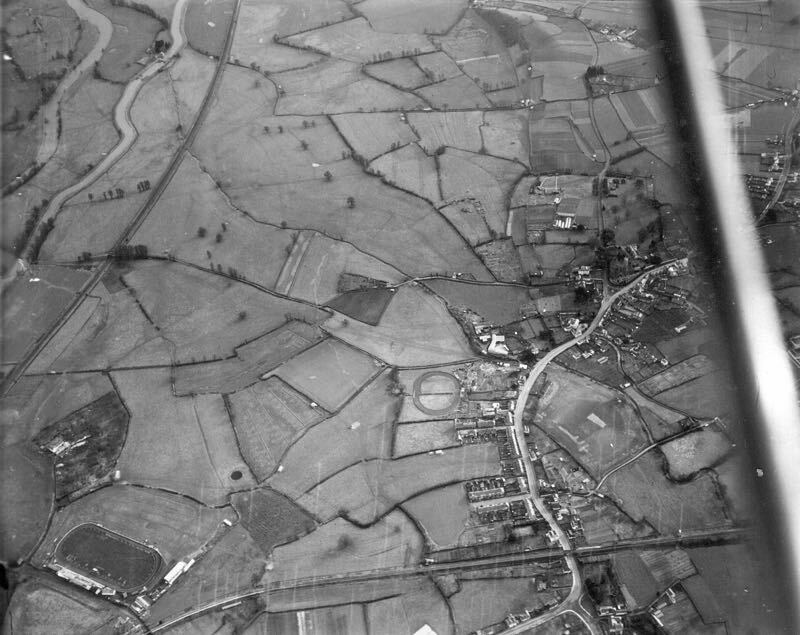 Photographed while flying over the Exhibition Fields area, the camera is turned south-east to capture the meeting of Pinhoe Road and the Bypass. 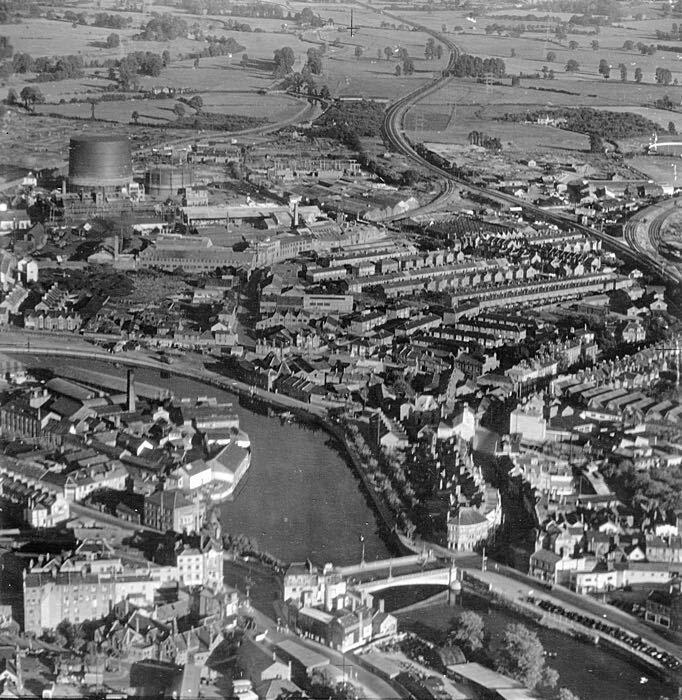 Beyond the Bypass, within the curve is now Sainsburys and St Luke's School. The white buildings are all prefabs.